Pullman Chicago: Pullman won international awards as the "World's Most Perfect Town". and the Illinois Central Railroad to build his model town in 1880. In the center of town was the railroad car business where Pullman train cars were built. 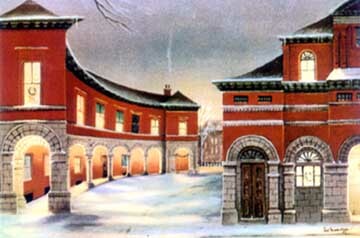 The town included public facilities such as stores and offices leased to private businesses housed in the Arcade building and Market Hall. The housing was modern to 1880's standards and included indoor plumbing, sewage and gas service. From 1881-1894, Pullman won international awards as the "World's Most Perfect Town". and Steere and Turner organ are still in excellent condition. 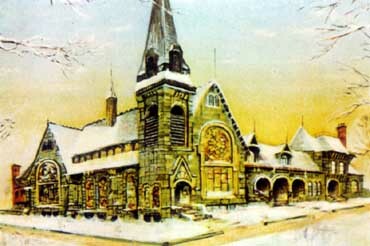 The Greenstone Church still offers worship services to the present day. 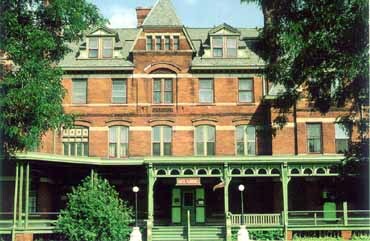 The Hotel Florence located at 11111 South Forrestville, Chicago, Illinois 60628, is the community's crown jewel and grants visitors a firsthand glimpse into the past. Open daily, the restaurant offers dining in a unique Victorian atmosphere. The second floor museum features George Pullman's private suite and several rooms decorated with original Eastlake furnishings. famous Pullman Strike occurred in 1894, and George M. Pullman died in 1897, and shortly thereafter the non-industrial property was sold to private individuals due to a Supreme Court ruling. The town of Pullman was annexed by the City of Chicago in 1889. The whole town was threatened with demolition in 1960, but was saved by the residents who formed the Pullman Civic Organization. Pullman became a State Landmark in 1969, a National Landmark District in 1971 and a City of Chicago Landmark in 1972. Group tours of the Historic Pullman District are offered year-round. There is a fully equipped Pullman Visitor Center in the old American Legion Hall. An extensive exhibit titled: Pullman... The Man, The Car, The Company, The Model Tow, The Strike, The Landmark Community in Chicago and a 20 minute audio/visual presentation is offered. For more information on tours call: (312) 785-8181.